With the letter W , I have made Wanwah ji Kutti. This is normally made at the time of a wedding in the family. Sindhi weddings are one Bollywood affair. Pre wedding celebrations start three to four days prior to the D Day. On the eve of the wedding day some rituals are held at both the bride and grooms house. In the boys house all relatives and close friends put oil on the grooms head and tear his clothes. This signifies casting away the old life and beginning a new one. This is a very hilarious ceremony where the groom normally wears nice tight jeans , which probably is the third layer. Everyone just waits to tear these clothes, mind you, scissors or sharp tools are totally forbidden. 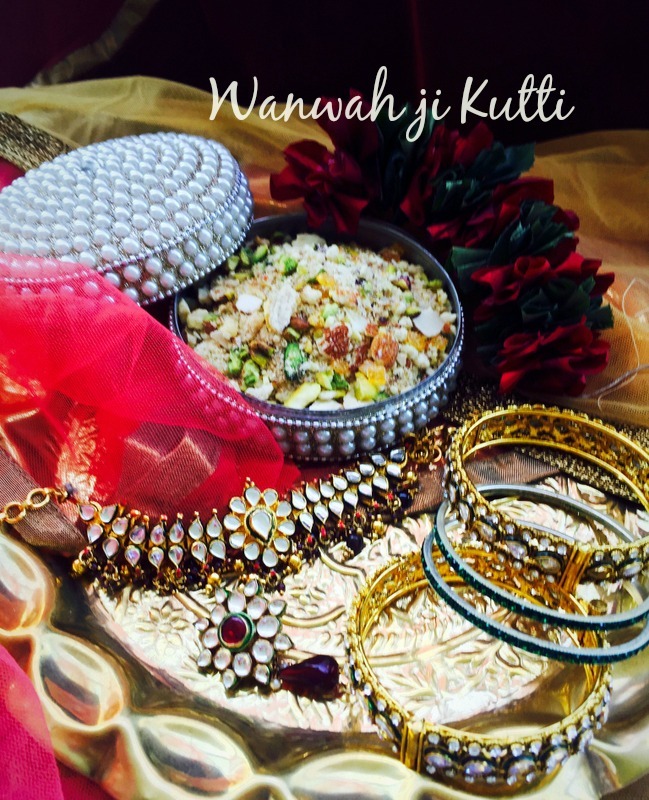 Wanwah ji Kutti is made by both , the bride and grooms side . 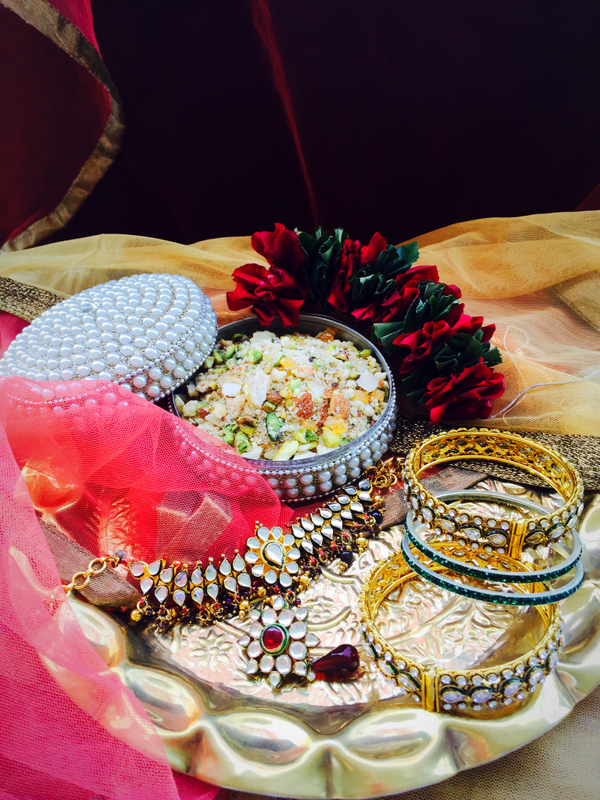 When these rituals finish, the Kutti is fed to the groom by his mother. She takes a big amount of Kutti in her palm and the groom tries to eat from it, after a bite , the rest is added back to the bowl.this Kutti is first fed to the most eligible bachelors .and then distributed among everyone. A similar ritual is followed in the brides house also. Post Wanwah ceremony the groom or the bride are not allowed to move out, but definitely a lot of singing and dancing and partying takes place. Wanwah ji Kutti is made with lots of dry fruits which are coarsely crushed, along with candy sugar, Cardamon and Choori. Some people even use edible gum to it. I remember when my son was getting married we made a big bowl of it and everyone really enjoyed it. There's is no fixed measurement , one can vary the proportions to suit ones taste. 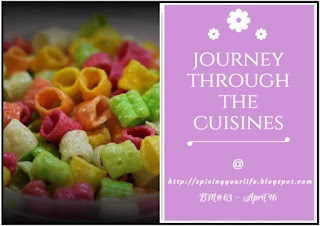 You don't need to have a wedding to make this Kutti, you will simply love to eat it , specially for breakfast. Roast the flour for choori. Grind half the sugar candy to a fine powder. Coarsely grind the dry fruits. 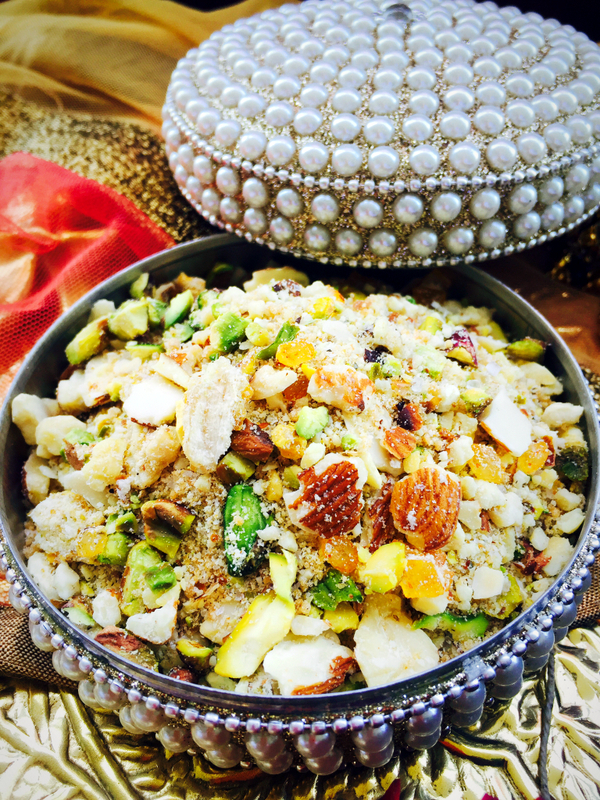 Mix the Choori ,dry fruits, powdered sugar candy, sugar candy and cardamon powder.